to include barefooters! 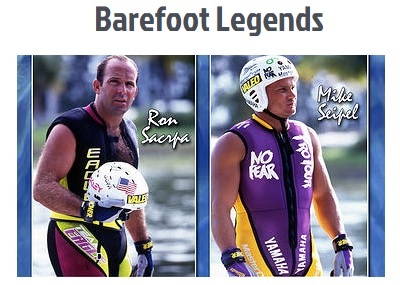 On October 25, 2014 Water Ski Hall of Famers Mike Seipel and Ron Scarpa will be coaching students in Winter Haven, Florida at the World Barefoot Center. For $299 you can take part in all of the festivities on and off the water! But even if you don’t ski with Mike & Ron, there will be a Barefoot Legends Barbeque at the WBC and legends such as Don Mixon Jr, John Gillette and Mike Botti will be gathering to talk about old times and new. Thanks to the generous support of the World Barefoot Center and other sponsors… all proceeds from the event will go to support the Water Ski Hall of Fame and USA Waterski Foundation’s scholarships! For more info and to sign up click on the link below. Previous Post: 2014 Barefoot Waterskiing Championships a Success!! I don’t know who wrote this post, but THANK YOU! !